Trans Europe Halles (TEH) is a Europe based network of cultural centres initiated by citizens and artists. TEH has been at the forefront of repurposing Europe’s industrial buildings for arts, culture and activism since 1983. 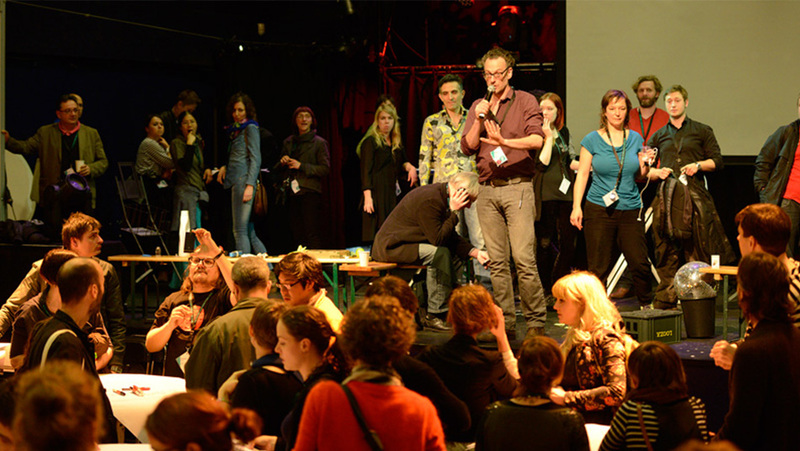 As by 2016, TEH brings together almost 90 multidisciplinary cultural centres and other cultural organisations all around Europe. Six of TEH’s members are partners in Creative Lenses: Kaapeli (project leader), Manifatture Knos, P60, Stanica, Village Underground and Vyrsodepseio. TEH facilitates international cooperation, provides opportunities for learning and sharing, and promotes the practice, impact and value of arts and culture. To achieve this, TEH organises two international meetings every year, coordinates international projects, runs professional development trainings, acts as consultant for public and private organisations, and actively influences cultural policies. For TEH, the power of arts and culture is in inspirational, transformative experiences that have the capacity to change people, perceptions and societies. TEH is responsible for the communication of Creative Lenses and the dissemination of the knowledge developed and gathered by the project.